This is the perfect summer treat - refreshing and good for you. In a blender or food processor, puree the rhubarb and the filtered water. Process for 1-2 minutes. Pour the mixture through a strainer to remove the rhubarb pulp. Mash the pulp in the strainer to get all of the juice out. 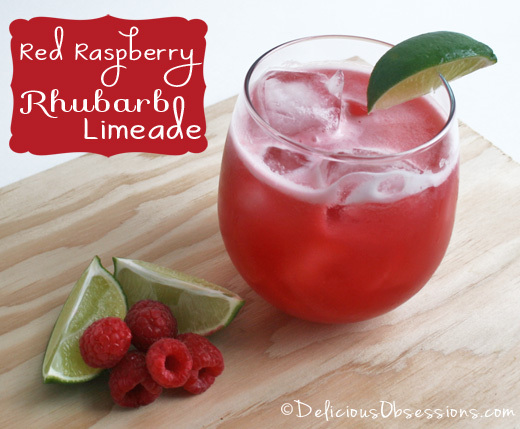 Add the rhubarb juice, raspberries, lime juice, and sweetener to your blend and blend until well combined. The limeade will be frothy. You can pour it through a strainer if you'd like to remove any of the raspberry pulp or seeds.